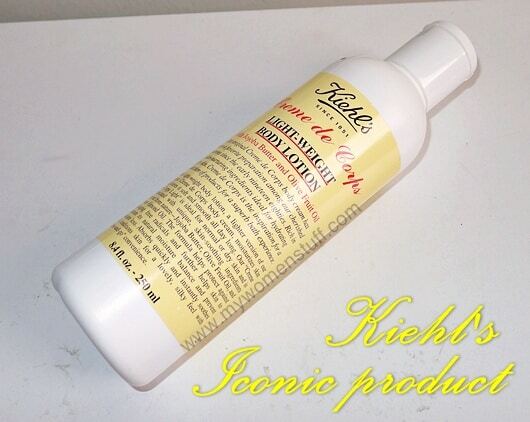 Home » Bath & Body » Kiehl’s Creme de Corps Light-Weight Body Lotion – a dry skin saviour! Kiehl’s Creme de Corps Light-Weight Body Lotion – a dry skin saviour! Kiehl’s and fans of Kiehl’s rave about their Creme de Corps body lotion. But I tested it a few times with samples and in store and I found it too thick and too oily for our tropical weather. I’m already lazy when it comes to applying body lotion and to have one stick and slip and slide all over is no-go. When I was in London a few months ago, I found my skin drying out. It was horrible! I had all this flaky scaly skin on my arms and legs due to the cold and it being covered up all day. 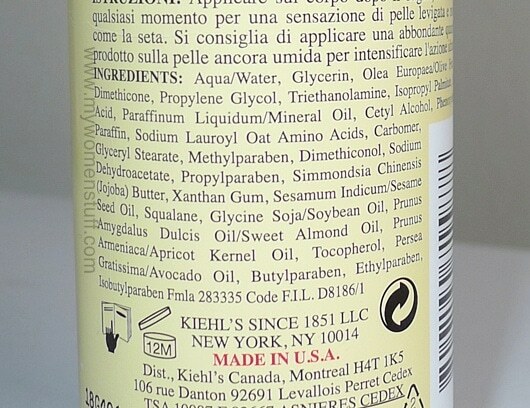 So in a fit of pique, I ran out and picked up the first body lotion I saw – it was at a Kiehl’s store. Picked up the Creme de Corps Lightweight Body Lotion because I liked the feel and because I knew I’d still be able to use it when I’m back. And I was right. I’m back and about a quarter of the way through my bottle now and still loving it. It is light and absorbs into my skin very quickly without feeling icky or sticky. There is a very light powdery scent which is pleasant and it helps keep my arms and legs flake-free and smooth and soft. Hmm… you are right about that warm feeling. I’m not sure if its the oils keeping the skin warm but it does bug me even in an air conditioned room. I don’t use body lotions often and then I got so fussy about them so now, I don’t buy anymore and I use body oils instead 😀 But Nivea. I love the Nivea whitening body lotion. As close to HG in a body lotion for me as it can ever be! I love Vaseline’s body lotions!! ^.^ Cheap and efficient! st.ives hydrating body moisturizer is my staple! 🙂 even my daughter with eczema has no prob with it and has been using it night-ly. I didn’t know this came in a light version- might be better for me as I found the original too sticky. I prefer The Body Shop’s lotions in summer.